Ian Heppenstall died of a heart attack on 9th March 2019, aged 72. Ian joined the Hull Geological Society in March 2001. He was a member of our Committee from 2013 to 2016 and was our Publicity Officer for two of those years. After Ian had attended some field trips to South Landing, whilst on Hull University Lifelong Learning Geology courses, the HGS established the Flamborough Quaternary Research Group in 2004 to record and investigate the Quaternary deposits in the bays around Flamborough Head. On 24th October 2009 Ian presented a talk to a joint meeting of the HGS and YGS about "The Last Glacial Maximum: Raised Beaches and Glacial Deposits at South Landing and Danes Dyke, Near Flamborough"; this was followed by a field meeting the next day. In January 2013 Ian showed HGS members archival photographs of the Flamborough sites and in the December of that year he spoke to the HGS about the Ipswichian Buried Cliff. 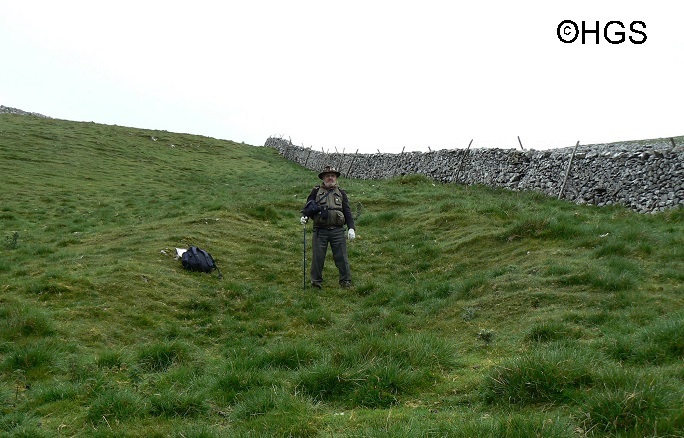 Between 2015 and 2017 Ian presented a series of talks in our Winter Programme about the geology and scenery in the Malham and Threshfield area. He also led some field trips to the area in 2013 and 2015. Ian had also carried out fieldwork and written a report of the archaeology of the Threshfield area, with the help of his wife Mary. In 2015 Ian was awarded the Felix Whitham Memorial Medal for his contributions to the public understanding of geology and his motivation for our Flamborough research.